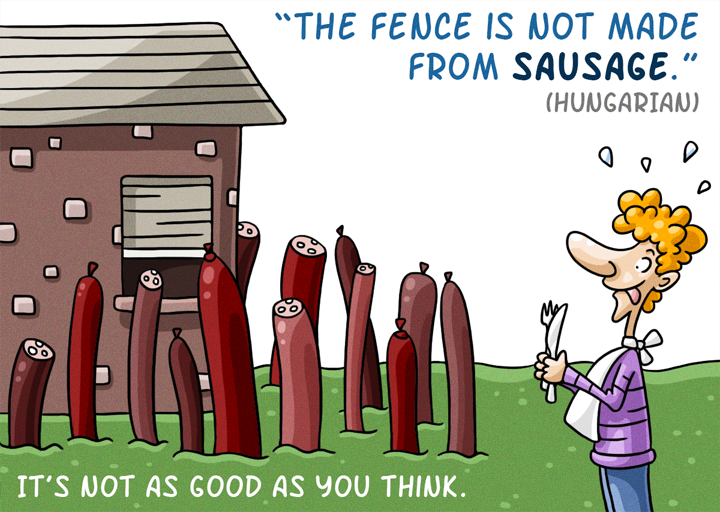 Sorry mate, nope, the fence is not made from sausage. 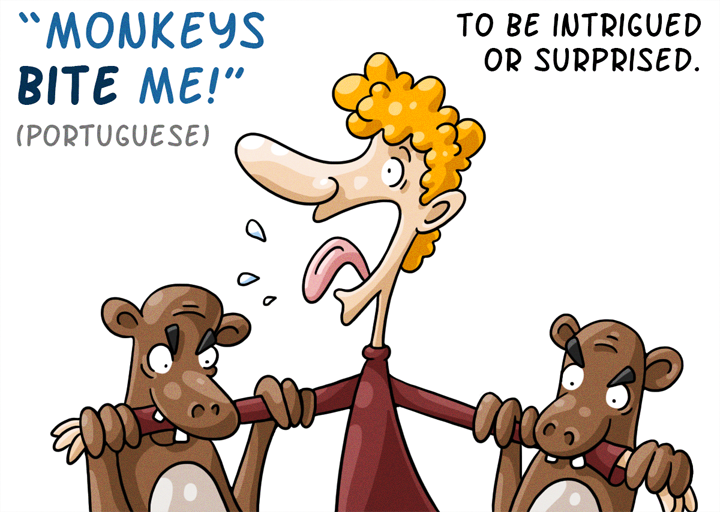 This is certainly an odd idiom translated literally, but essentially means something isn’t as good as it seems. To English speakers trying to figure out the equivalent, let’s say the grass may not be greener on the other side of that delicious fence. Quite a simple one, really. 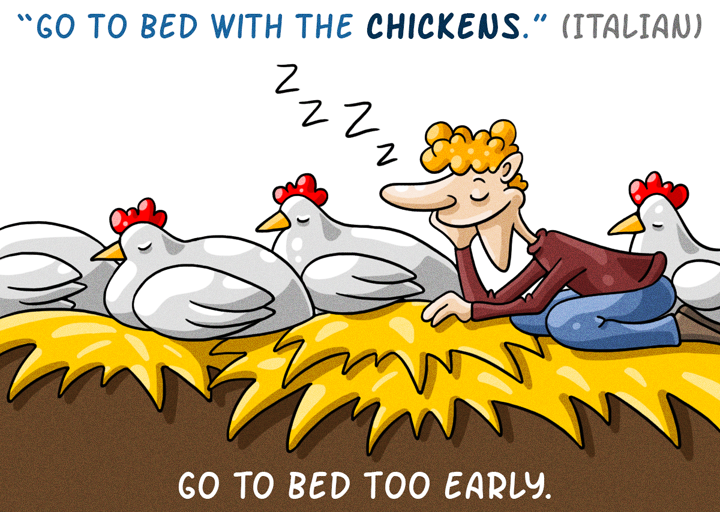 Chickens go to sleep early, apparently. This isn’t a suggestion that somebody snuggles up in the coop. “And wake up with the cows” often follows, meaning to get up early, rather than to have serious regrets about the previous night. Translation: Słoń nastąpił ci na ucho? 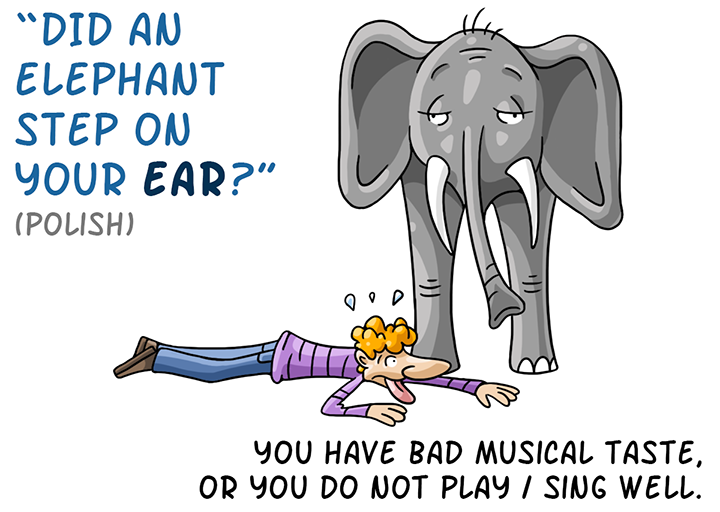 Meaning: You have bad musical taste, or you do not sing/play well. This is something a Polish Iron Maiden fan might say while flicking through Justin Bieber and Miley Cyrus records…or while listening to them. You have no ear for music, is probably the closest English equivalent. Like rose-tinted spectacles but a bit more fruity, and insulting. Also, it is not a criticism of a person’s outlook on life, but their ignorance. 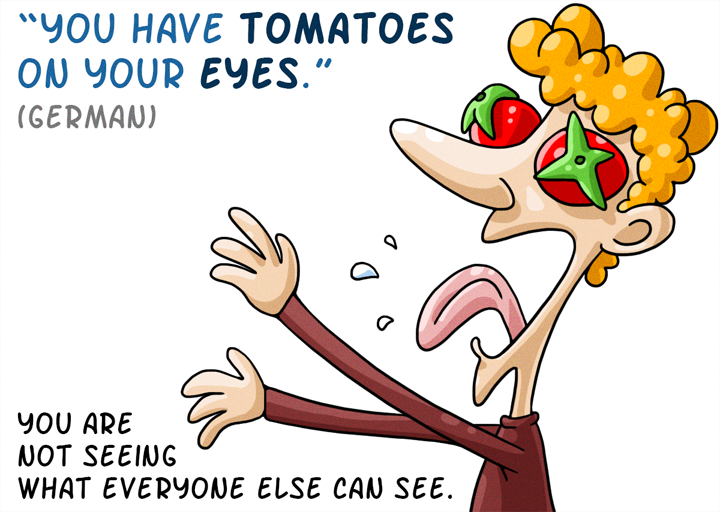 If someone were to have tomatoes on their eyes, they would be blind to what everyone else can see. A bit more polite than its English language counterpart, which would likely be a one word phrase beginning with an F. This is not a request, but an exclamation of surprise or intrigue. Some things really don’t translate well, and it seems Romanians are quite keen on confusing the rest of the world. They don’t experience surprise, their “faces fall off”, and to drive someone nuts you take them out of their watermelons. Obviously. Congratulations to the Argentinians; this is one that everyone should use. It equates to living in a world of your own, but clearly with much more entertaining imagery. ‘Pedos’ is the offender for the fart translation and it appears quite often in their phrases, though not always in relation to methane. “Voy a los pedos” translates as “I’m going really fast”. Thanks to le coq mentioned, this one is identifiably French. 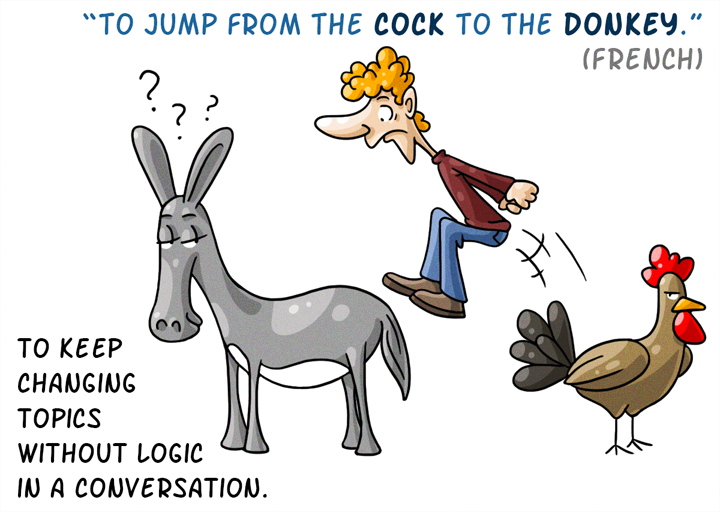 But this isn’t a description of farmyard parcours, but an idiom meaning to jump from one topic of conversation to another. I’ve been to numerous marquee weddings, which by the end of the day essentially are beer tents, so this one kind of makes sense. 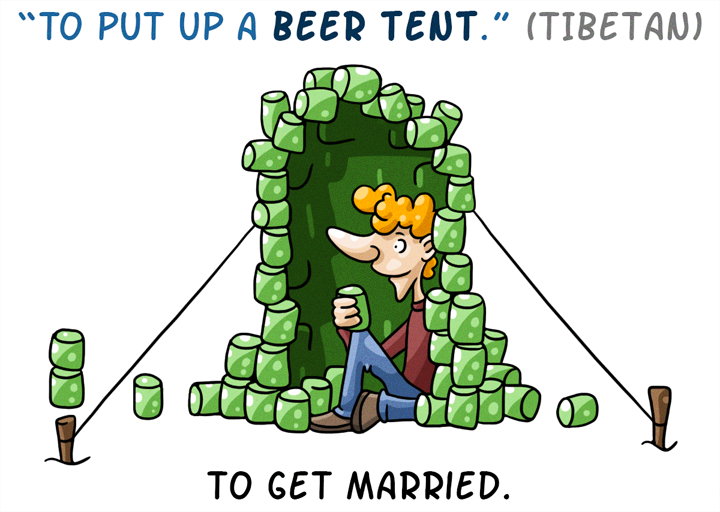 And saying you’re putting up a beer tent sounds way more fun than tying the knot, our closest equivalent. 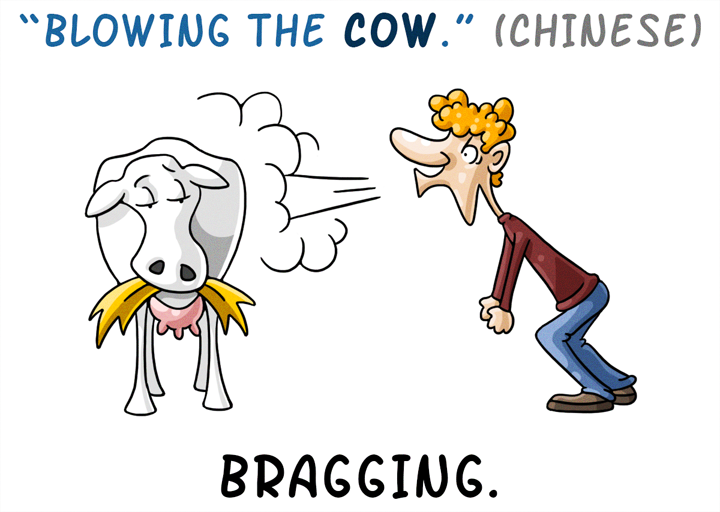 In order to cross Yellow River in China, locals would fashion a raft from cow hide and blowing into it was necessary to make the vessel float. Essentially this means full of hot air, and talking big. 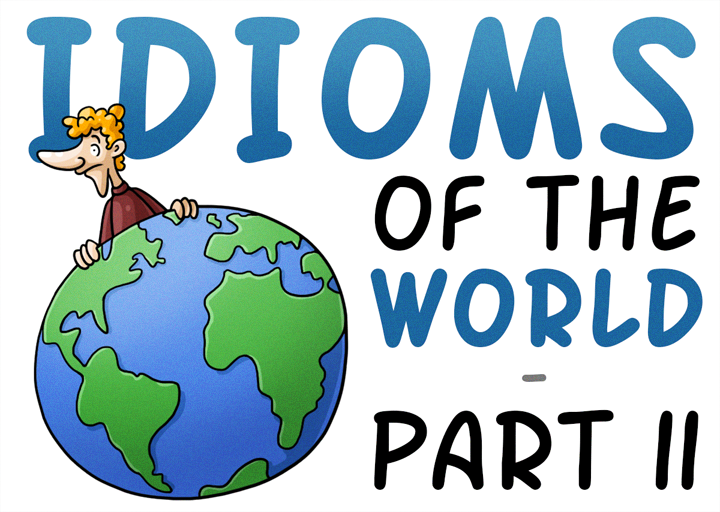 Props again to Matt Lindley for his inspiring article which seems to have opened up literally a whole word of idioms. We know there are tons more lovely and laughable translations out there, so please let us know what we have missed in the comments section. 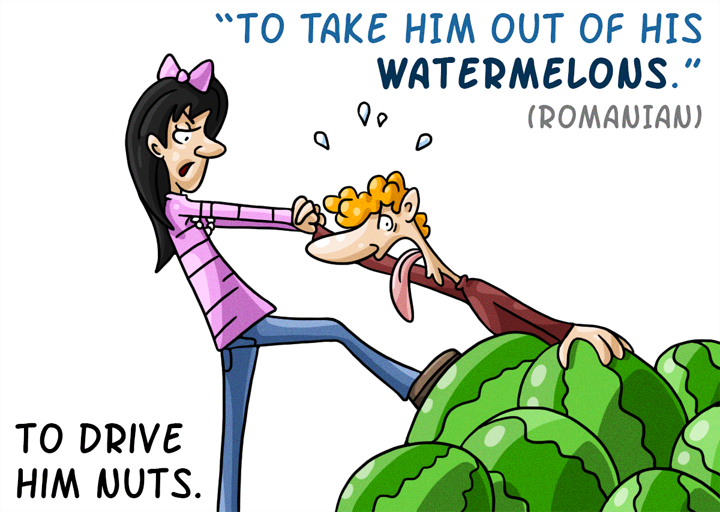 See the full set of idioms in one image here.